There is a lot happening on the boot market right now; across the globe, top players are training in blacked-out boots that undeniably look like new and upcoming models. We have gathered some of the blackout spots that we have found, and try to look into the future and give our guess to what Adidas and Nike have in store for us looking ahead. Neymar, Danny Welbeck, Sven Bender and Manuel Neuer have all been noticed by our boot spotters, as they have been seen wearing blackout boot models that we have not seen before. Based on this, we believe that both Adidas and Nike have something new and exciting in store for us, but exactly what it is, we can not definitively decide on yet. Anyhow, we will still give our guess as to what the boot future holds. We will start off with a boot that we have been able to follow since summer last year, where Sven Bender from Borussia Dortmund wore the boot. At the time he had a contract with Nike, but maybe this secret test made him change his mind and switch to Adidas. 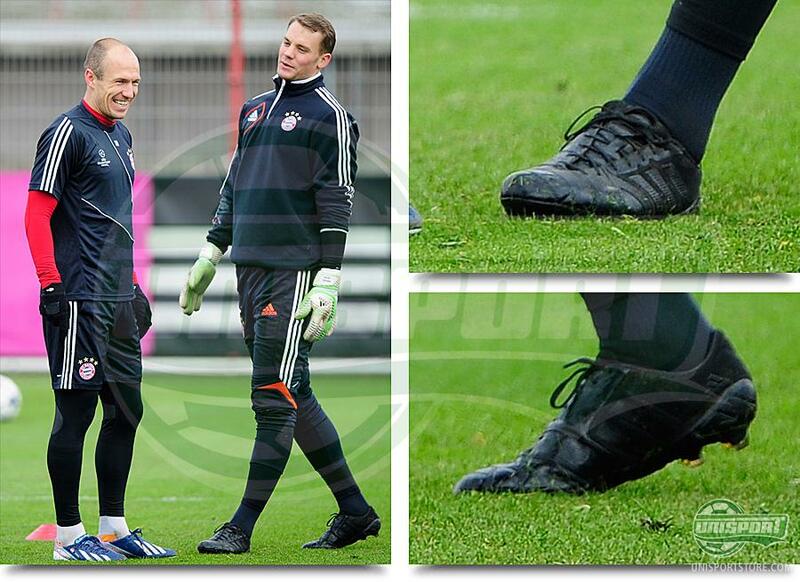 When this boot was first spotted it raised a number of questions; first of all, Adidas had, just previously, presented the Adidas Predator LZ, which became a huge success; and therefore, it would a little drastic if the German's were already testing the next generation of the Predator collection. After Sven Bender had given us a glimpse of his exciting boots, we would have to wait a while before we once again could spot the boot. 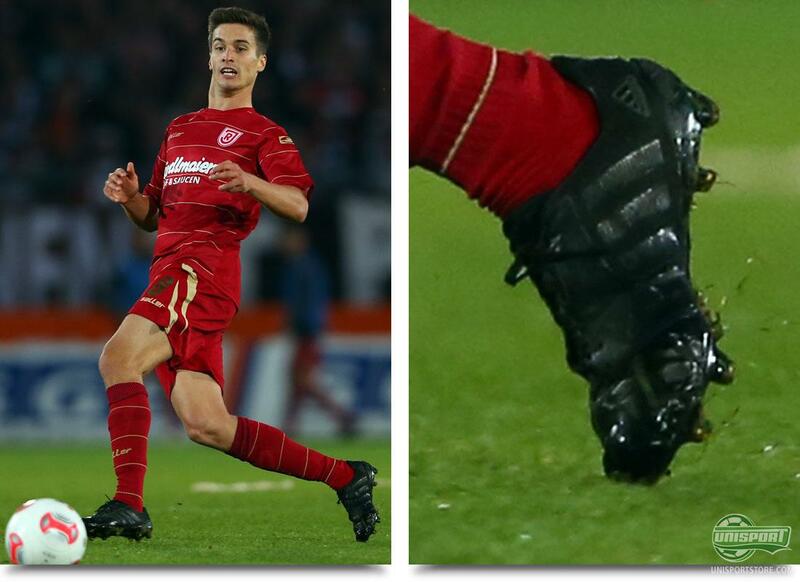 This time around we spotted the same boot on the feet of the relatively unknown Jonatan Kotzke from Jahn Regensburg, thus giving him an immediate star status with us. 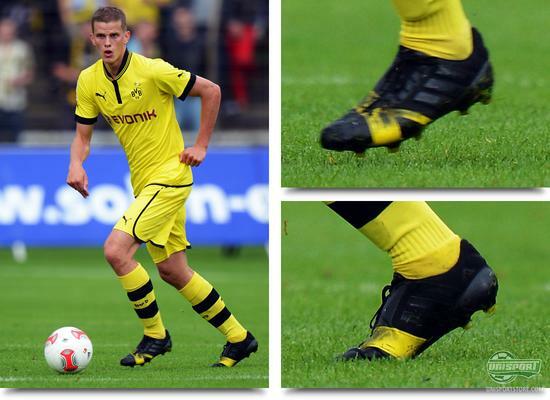 The boot is very much similar to Sven Bender's, with the band across the instep that really stands out. It doesn't look like something that we have seen before on a predator boot, and people in the boot forums are talking about it being something brand new from Adidas. 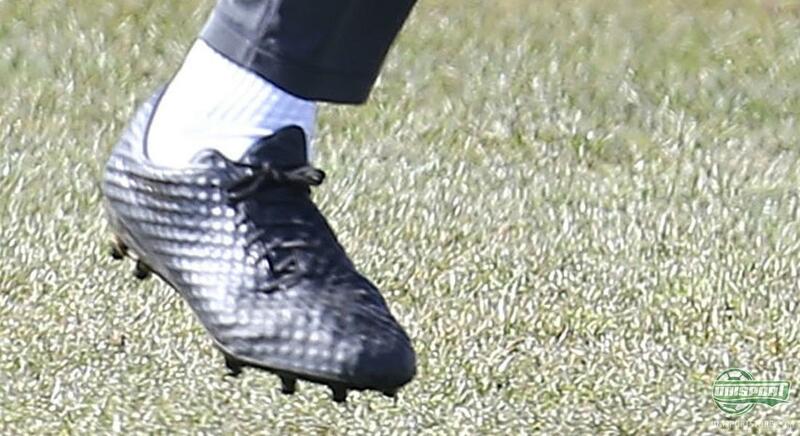 'The latest and most fresh from Adidas' hereby seems to be moving closer to a reveal, as more of the German brand's big stars have been spotted wearing the boots. Regarding this matter, it is also very interesting to note that we are talking about players who normally wear different boot silos. Bayern Munich goalkeeper, Manuel Neuer, normally wears Adipure 11Pro and Ezequiel Lavezzi from PSG is usually seen in a pair of F50 Adizero; but this hasn't stopped them from testing these new boots. Tomas Rincon from HSV is the latest professional player that we have spotted wearing the boot, and since we first saw Bender wearing it, the boot really hasn't changed much. The forefoot has this characteristic, almost pillow-like, upper, as well as, the recognisable band that stretches across the instep. In addition, this picture also allows us to take a look at the sole, which points in the direction of a sprintframe-like outsole with miCoach compatibility. Hopefully the future will give us more answers. However, it is not just Adidas, who are plotting something new and exciting. It has been a while since we saw Neymar wearing the boot above. The whiteout boot caused quite the fuzz and people quickly began talking of a Nike GS3 and Mercurial Vapor IX. 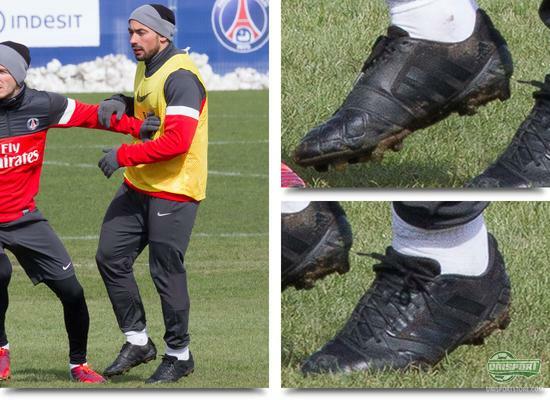 Since then, we haven't seen much of the boot, until recently where we have seen Neymar wearing the boot again. Things really started to heat up as we spotted Manchester United player Danny Welbeck wearing the boot. 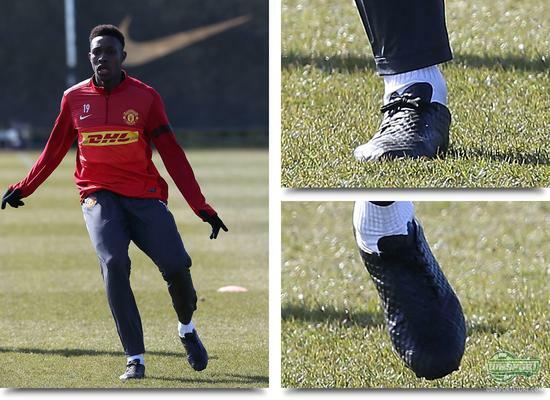 Currently, Welbeck, similar to Neymar, is faithful to the Mercurial collection, and therefore, boot spotters have mentioned multiple options. Some speak of the option of the next generation of the speed boot. Others, although, speak of something completely new from Nike. It most definitely looks very exciting, and the boot has, as we know from speed boots, a very fast and streamlined profile when you see it from the side. 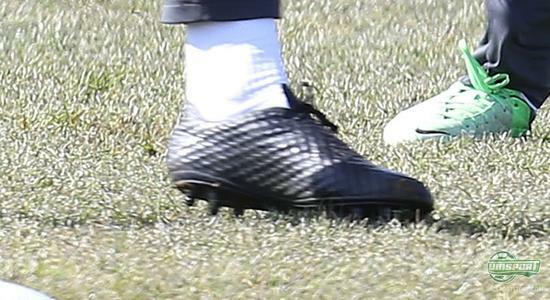 The most prominent regarding this boot must be the upper; which, similar to the Vapor IX, has a golfball-like surface, although this mystery boot has an even more textured surface. The stud configuration also looks interesting, with conical studs under the heel  very interesting indeed. New boot rumours are everywhere these days, and we are seeing exciting boot spots every week. It is hard to keep up, and yet still we can't wait to see more new boots revealed. What do you think Nike and Adidas have got in store for us? Feel free to share your opinion in the comment box below.